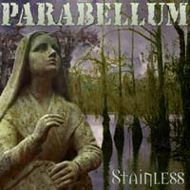 Formed in 1995 and having released three demos since, Pensacola, Florida's PARABELLUM now release their first full-length album, "Stainless". 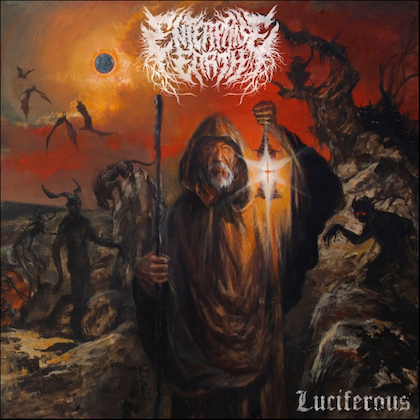 The band's self-described (and unoriginally named) "swamp metal" tries with varied results to fill the listener with misery and dread, as the compositions crawl along the bottom, writhing in pain. I've got a soft spot for misery metal, whether doom or sludge, but I'm feeling lukewarm about "Stainless". At 68 minutes, "Stainless" is more endurance test than psychological torment trip, and that's the main problem. Feeling is everything, and all the slow-burn rhythms and coarse guitar riffs in the world won't save an album if a band doesn't find that sweet spot. The music should make me feel as though I'm swimming in a heroin sea, trapped under ice, or drowning in cheap whiskey. When it comes to "Stainless", it's hit and miss. In fairness, the band does a nice job with melodic (and melancholy) leads, as well as dry-as-dust riffs. I won't even harp on the fact that the riff to "Skull and Bones" is just shy of "Black Sabbath" because it does have a balls-dragging-on-concrete quality to it that can't be denied (as does most of the album). On "Murder, Lust, Suicide", the bass line and leads made me think of METALLICA's "Orion", the group teetering on the edge of suicidal depression (fortunately). Of course, dreary CROWBAR moments pop up all over the place as well, which is to be expected. 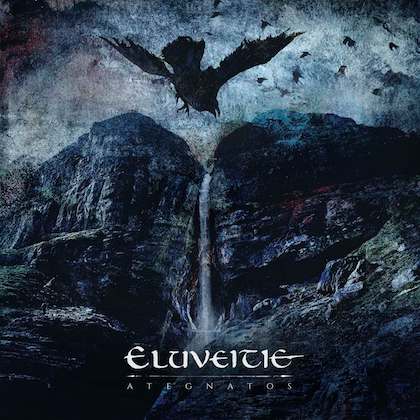 The mellower, brooding stuff like "Locust Dreams in Potters Field" is borderline convincing and tuneful, but sounds a little forced. Shane Reneaux quite often moves from harsh vocals to the despondent low-register speak-sing that you've heard on records by ACID BATH and SOILENT GREEN. It's a bit overdone though and sometimes falls short of the intended effect. 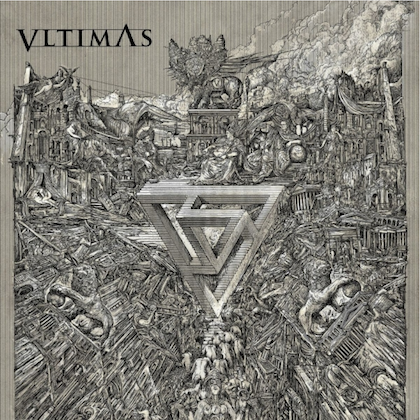 Guest appearances by Ben Falgoust (SOILENT GREEN, GOATWHORE) and Joe Gaston (BRECCIA, SOULCORE, MUTANT SPEED) are worthy of note, but that's about it. Even though "Stainless" feels to me like it's missing something, I can see where others may find more to like here than I did. Like I said, feeling is so important in this style of music. Too bad it's so damn difficult to describe or quantify.